Comments: Feather frond palm native to the foothills of the Himalayas in India. 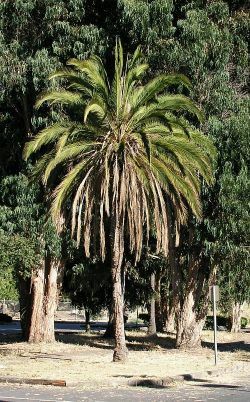 A self pruning palm (most Phoenix aren't) with yellow-green fronds and thin trunk. Species is very frost tolerant.